Amid the Val di Merse in the southern part of Tuscany, far from the beaten track and surrounded by the beautiful Tuscan countryside is the Abbey of San Galgano. It is an impressive ruin of a former abbey and is located near the famous Tuscan town of Siena. The spectacular, almost mystical atmosphere of the Abbey of San Galgano makes this a very special place and one of the main attractions of Tuscany. The ruined monastery is therefore a popular setting for spectacular events, including music events, and also promises to be a fantastic, unique setting for civil wedding ceremonies. The history of the Abbey of San Galgano dates back to the 12th Century, when it was founded by Galgano Guidotti on a hill at Montesiepi. 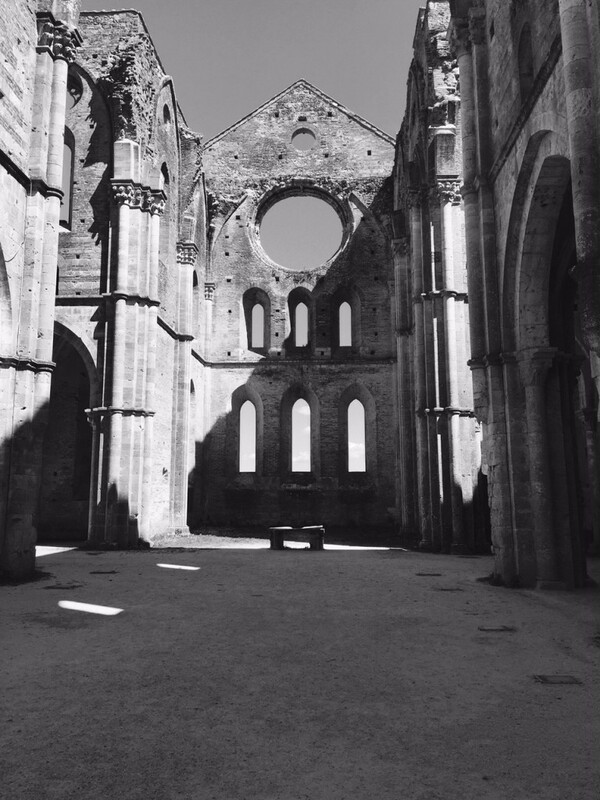 After a period of prosperity in which the monks of San Galgano enjoyed extensive land ownership that gave them an influential role, their economic decline began in the 14th Century, when famines plagued the region, many monks died and the abbey fell into ruin. Finally in 1961, a Cistercian monk from Rome was permitted to bring the ruins of San Galgano back to life. Today the Abbey of San Galgano is considered to be one of the most important Gothic buildings in Italy. Gothic architectural styles were introduced here in Tuscany for the first time. In addition, the construction of the church was also oriented to the Church of Casmari in Latinum. These elements of Burgundian architecture make the Church of San Galgano an absolutely unique building in a picturesque setting. The ruins can be reached by making a short walk through a beautiful pine alley. Once there, the structure impresses with its absolutely unrivaled location and views of the rolling hills of Tuscany. This former abbey therefore offers a unique, impressive backdrop for civil weddings in Tuscany and has become increasingly popular with couples from all around the world. 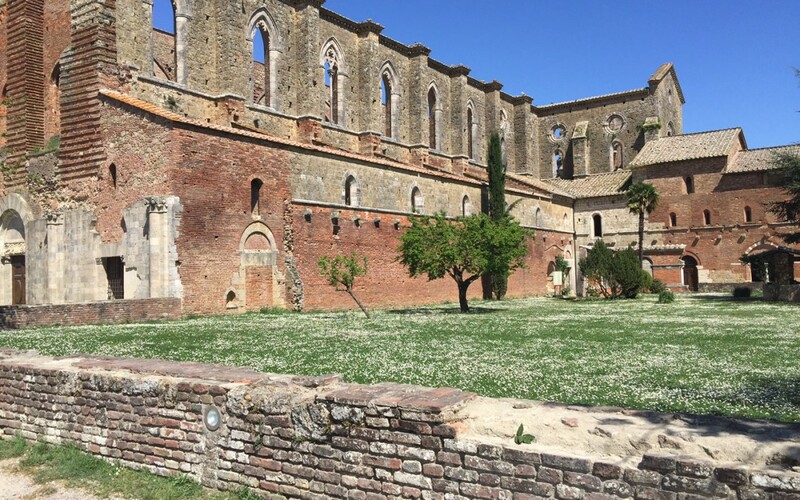 Last year, more than 100 couples decided to tie the knot in the Abbey of San Galgano. The location also offers wonderful farmhouses that are ideally suited for wedding receptions and for accommodating wedding guests in the near vicinity. Please contact us for more information about a wedding in the Abbey di San Galgano.